How do family and community traditions change over time? This Grade 2 unit on heritage and identity can be addressed using great picture books. The first three are useful for teaching timelines. 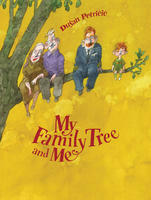 My Family Tree and Me, by Dusan Petricic, traces a boy's genealogy through period “photos” (Petricic's beautiful illustrations) of members of his family. "Without my great-grandfather and great-grandmother, I would never have had Pops, my grandfather; who met his match in Nana, my grandmother." The first half of the story traces his father's side and the second half, his mother's, and the book is designed so it can be read in either order. One side of the family has red hair, so it's easier for the reader to figure out the familial connection. 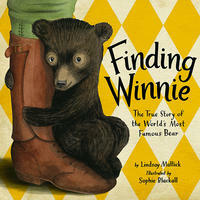 Finding Winnie: The True Story of the World's Most Famous Bear, by Lindsay Mattick, illustrated by Sophie Blackall, is a superb story-within-a-story presenting the history of iconic literary creation Winnie the Pooh. In the book, a mother (actually the author, whose grandfather was Harry Colebourn, the soldier who adopted Winnie in World War I) tells her son, Cole, how Harry met the bear in a train station and brought him along to the army camp. When Harry was called to the front he donated the bear to the London Zoo, which the real-life Christopher Robin visited with his father, A. A. Milne. Through the telling of the tale, Cole (named after his grandfather) realizes his place in the order of events. Written with a gentle childlike humour reminiscent of Milne—for instance, "Thirty ships sailed together, carrying about 36,000 men, and about 7,500 horses...and about one bear named Winnie.” It includes a pictorial family tree showing Cole's genealogy. It might need a few read-throughs for students to connect the dots between generations but it’s worth it. 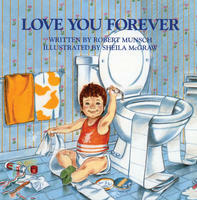 A family’s traditional goodnight hug can be plotted using Love You Forever, by Robert Munsch, illustrated by Sheila McGraw. Benchmarks are easily identified in the story of a mother-son goodnight kiss, at age 2, age 9, as a teen, and finally as a grown man, continuing the habit with his own child. 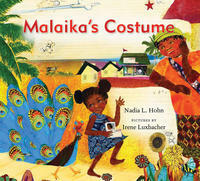 Community celebrations, past and present, are the subject of Malaika's Costume, by Nadia L. Hohn, illustrated by Irene Luxbacher. Malaika is sad because her mother is in Canada, far from the Caribbean Kiddie Carnival. It's a family affair, but Malaika is too angry to plan her outfit—until she starts collecting fabric from significant people in her community. Together, they transform her grandmother's hand-me-down costume into a fine proud peacock. Similarly, in Malaika's Winter Carnival, Malaika’s move to Canada forces her to adaptto everything strange: the language, the snow, and most of all, a carnival in winter! 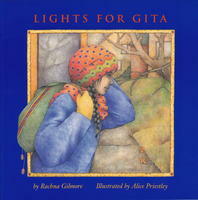 Changing customs due to immigration is also the subject of Lights for Gita, by Rachna Gilmore, illustrated by Alice Priestley. Throughout the book, new Canadian Gita is remembering what the Divali celebration would look like back in India, complete with favourite sweets, stories and incense. Freezing rain waylays the planned fireworks but then a blackout allows her to light the traditional diyas and bring the true meaning of Divali to her Canadian friends. 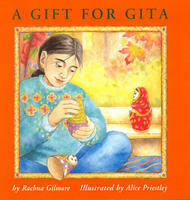 Habits differ from generation to generation in another book in the Gita series, A Gift for Gita. Her grandmother comes for a visit and tries camping and skating on the frozen canal. When Gita's family have the chance to return to India, they realize their new way of life has replaced what her grandmother still holds dear...the colours and smells of India, even the monsoon. 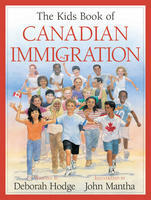 The Kids Book of Canadian Immigration, by Deborah Hodge, illustrated by John Mantha, is a good resource to explain how/why communities have transformed in Canada. How does change include the broader community? Imagine That, by Janet Wilson, is a conversation between Elizabeth and her Auntie Violet on her 100th birthday. Born in 1900, she shows Elizabeth photos of how different life used to be. Water was pumped from a well for Violet's bath, refrigerators ran on big blocks of ice delivered to her home, and she attended a one-room schoolhouse. Each page is framed by a bevy of significant events, interesting crazes, games, discoveries, etc. for each decade of Aunt Violet's life. What about when a child is expected to continue the family practice? In Boy of the Deeps, by Ian Wallace, James is finally allowed to follow in his father’s footsteps working in the Cape Breton coal mines. Roles are reversed when James must protect his father amidst a dangerous accident. This is also a mentor text for teaching descriptive language. 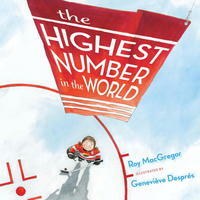 Gabriella isn’t aware she’s continuing a family tradition in The Highest Number in the World, by Roy MacGregor, illustrated by Genevieve Despres. Gabriella has always worn number 22, like her idol, Hayley Wickenheiser, but when the coach gives her number 9, she’s thrown into a crisis. Gabriella discovers her love of hockey runs in the family when her grandmother shows her photos of her younger days, when she had to disguise herself in an all-boys league to play. Back then, number 9 was the coveted number—for Rocket Richard and Gordie Howe, whose jerseys were raised to the rafters when they retired (thus, the "highest" number). Indigenous identity and generational changes are evident in the following three titles. 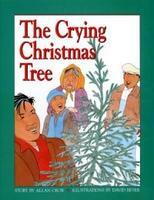 In The Crying Christmas Tree, by Allan Crow, illustrated by David Beyer, a grandmother continues the family custom of travelling a hundred miles by horse and sled to the nearest town to sell pelts and fish, returning with presents for the family Christmas. The journey takes two days, and this year, Grandma makes the trip with a heavy heart. Just prior, her grandchildren have laughed at the scrawny tree she’s chopped down for their celebration. Grandma continues the gift tradition, despite her worry the next generation has grown selfish. 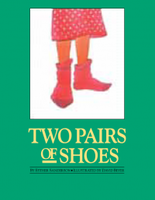 Also illustrated by David Beyer, Two Pairs of Shoes, by Esther Sanderson, is a very short tale about Maggie receiving a pair of shiny black shoes from her mother on her eighth birthday. Her grandmother also gives her a pair of shoes—hand-sewn moccasins, leaving her with the wise words: “From now on you must remember when and how to wear each pair.” A great discussion starter about the continuation of family customs. 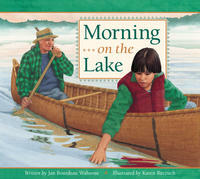 Adherence to tradition is seen in Morning On the Lake, by Jan Bourdeau Waboose, illustrated by Karen Reczuch. A boy canoes with his grandfather, eagerly studying his quiet practices: paddling, hiding to look out for The Great Eagle (protector of their people) and watching for night wolves. The handing down of traditions is conflict-free, unlike most of the tales on this list.